Babies need a lot of sleep and can easily become overwhelmed. Too much stimulation can lead to babies staring into space or becoming very cranky. In this article, we discuss 12 ways to get your overstimulated baby to calm down and sleep. How do you feel when you’ve had little to no sleep and you’re exhausted? Easy question to answer, right? Multiply that feeling times 100 and put yourself in a new situation that you’ve never been in before. That’s how your baby feels every day as their brain is "learning" their new environment. And here's why: At a young age, the human brain cannot distinguish important vs unimportant stimuli like an adult brain can. Sleeping allows the brain to "rewire" itself so that it can discover what stimuli to pay attention and what to ignore. This process takes time. Often times, overstimulation results in a baby that just cannot sleep. Obviously sleep is very important for your little one (and for you too). Babies require a significant amount of sleep and need to nap often. Overstimulation can get in the way of a healthy, happy baby. Overstimulation is one of the most common causes for a grumpy baby. In addition, overstimulation can lead to a baby that is overtired. 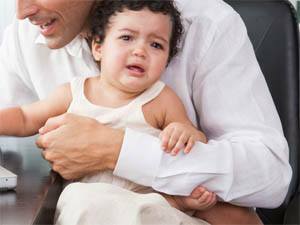 Since every baby is different, parents have to find the right remedies to calm their baby. Let's discuss some great tips for you to try! One of the best ways to prevent overstimulation in infants is to set a routine. Get your baby used to settling down, feeding, and falling asleep about the same time each night. Your baby will get used to this routine. Their mind and body will understand that it is time to calm down once a habit is created. To begin your nightly routine, create a calm and quiet environment. This makes the routine more effective as it will be easier to settle down and fall asleep. The key is being consistent so that their little brain gets used to the routine. The repeated pattern will become a habit and will prompt their brain to start getting ready for sleep way before bedtime. As you are creating a calm and consistent environment for your baby, remember to remove any nearby stimuli. Make sure that televisions are quiet and that household members know it is quiet time. Check to make sure their favorite toys and objects are out of sight. Try to eliminate as many distractions as possible. The same goes for an adult trying to get good sleep. Quick Tip: You may overlook reasons that your baby is having a hard time calming down. When you start to become overwhelmed, remember to take a deep breath and think about the basics! Does your baby have a clean diaper? Could your baby be hungry? Is there anything that could be making your baby uncomfortable? Is your baby too hot or cold? Sometimes it can be as simple as tending to one of these common problems! Despite our best efforts, we know that preventing baby overstimulation is not always possible. As soon as you see signs of your baby overstimulated by their environment, start soothing them. Babies can become overwhelmed quickly in the presence of stimuli. 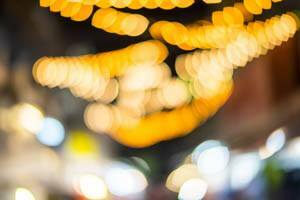 Stimuli may include lights, toys, people, noises, or a combination of these factors. Therefore, it is important to remove as much stimuli as possible even during the day. This will prevent your baby from getting overstimulated, causing them to not be able to sleep later on. When calming your baby, make sure the room is dimly lit and free from noises and activities. These factors can often be the main reason that your baby is overstimulated. Try to make their daily environment feel peaceful and relaxing! One of the factors in calming an overstimulated newborn is the soothing power of movement. Swaying with the baby or gently bouncing might be what they need to calm down. In addition, some babies are able to calm themselves down when placed in a baby swing. It is important to try each movement for a few minutes before trying something new. It could take time before it begins to work. Be sure to experiment and see what works for your baby! An overstimulated newborn cannot sleep when surrounded by too many sounds. They become easily overwhelmed and distracted. However, if you remove these sounds, you can utilize soothing sounds to calm your baby. It's important to note that some babies actually like consistent noise. How many times have you played music in the background to soothe yourself?. This might work for your baby too. It's sharp, unpredictable noises that can overstimulate your baby (and adults too). 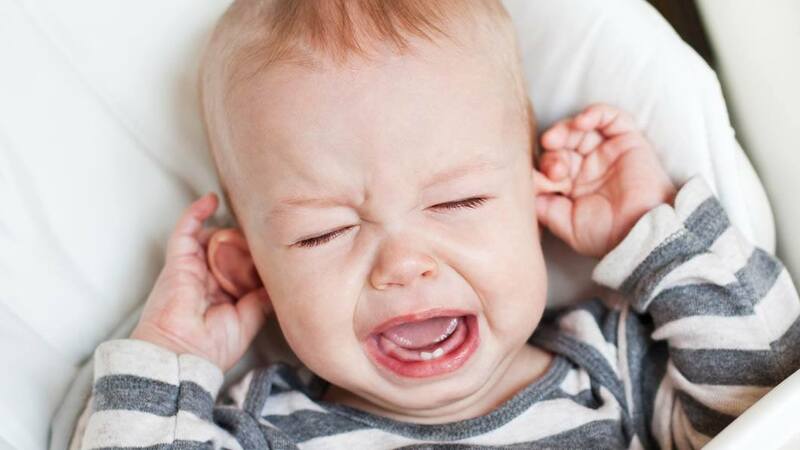 Try to reduce these types of noises and sounds in your baby's environment. “White noise” can simulate the environment of the womb and have a calming effect. White noise is a great way to "cancel out" other constant low level noises that might otherwise keep your baby awake (I use white noise for myself!). Singing familiar lullabies or speaking softly can comfort your baby as well. When a baby will not calm down, simply hand them to the other parent. Each parent will have their own methods. The brief refreshing moment of a new face may provide just the right opportunity to calm the baby. This replenishes your patience so you can be more effective if you have to try again! Babies can sense your impatience and your stress more than you think. When your baby was in the womb, they felt a safety net of resistance with each movement. As a result, their new freedom can be scary. Swaddling simulates the resistance they experienced in the womb and offers a calming solution. The soothing warm water and relaxing scents are reasons why a bath calms your baby. Try adding a few drops of lavender essential oil to the water. Alternatively, use lavender scented baby wash to increase bath time relaxation! Baby massage is a great bonding experience and can be an easy way to calm your baby. We associate massage with relaxation! Your baby may also find this a relaxing and soothing experience. Many parents also swear by lavender scented lotion because of lavender’s proven calming abilities. If reading is a daily routine, this may effectively calm your baby. Reading is a great method, but may not work for everyone. The combination of hearing your voice and focusing on one thing can be an effective remedy. Be sure to read in a soothing, calming manner. Read in a slow and rhythmic way that will lull your baby into a sleepy state. If all else fails, put the baby in their car seat and go for a ride! Often, this is a last resort because it can be a bit of an inconvenience. Riding is a trustworthy remedy that will usually put babies to sleep quickly. Infant overstimulation can be very challenging to prevent. It will happen, so be prepared for it. Remember that the most important thing you can do when trying to soothe your baby is to remain calm. Also, babies can sense your stress and impatience. This hinders your abilities to calm them down. If you feel yourself growing too stressed, take a moment to calm down with some deep breaths!